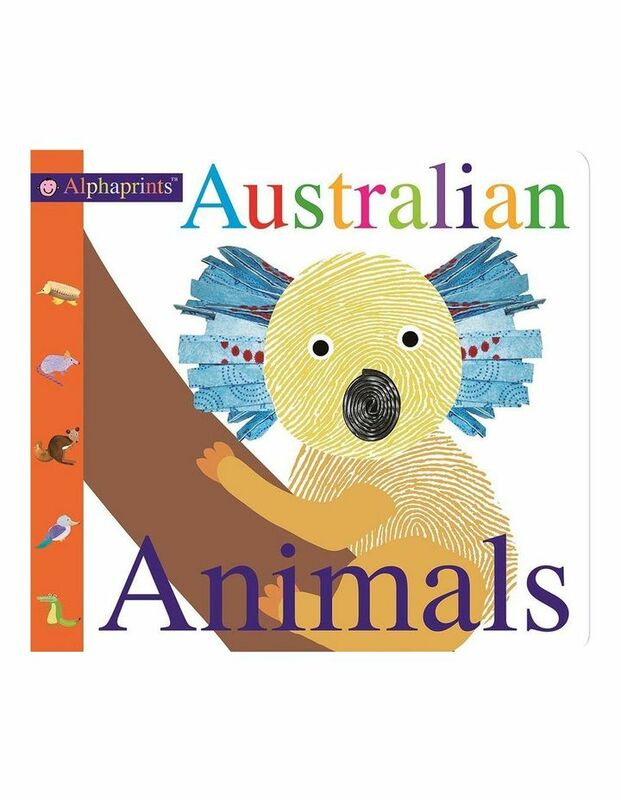 Learn all about animals that live Down Under with this Alphaprints book of Australian Animals. From cute koalas to creepy redback spiders, the fun illustrations and rhyming text introduce unusual Australian animals to toddlers. Alphaprints uses a unique and appealing illustration style, taking fingerprint pictures and adding photographs of everyday things. Each fingerprint has tactile, raised embossing on it for little hands to explore.